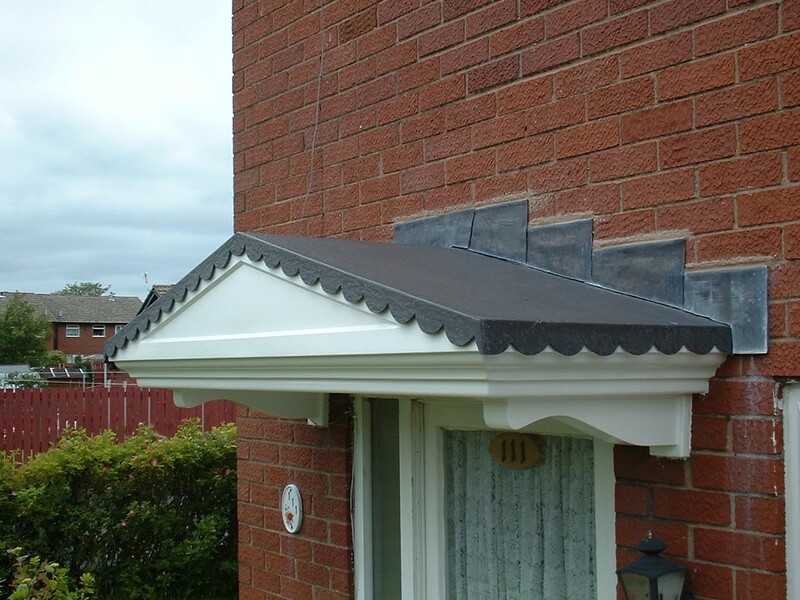 With its attractive Dual-Pitch canopy and authentic Riven Slate roof The Fort overdoor canopy makes a great addition to any home. 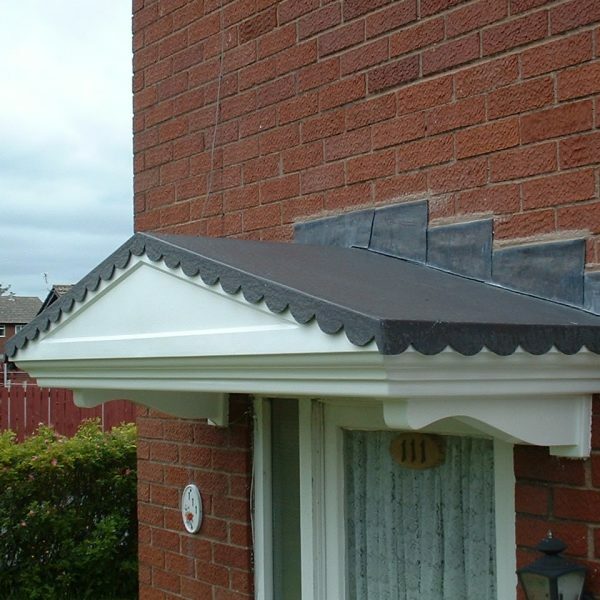 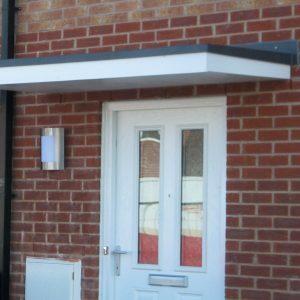 The roof comes in a choice of grey or black to match aesthetically with the style of your house with a white soffit (base) section to compliment both roof colour options. 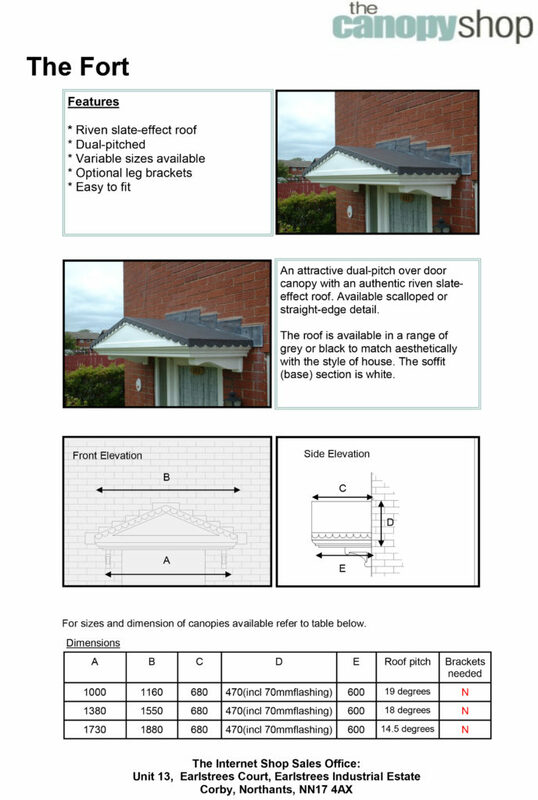 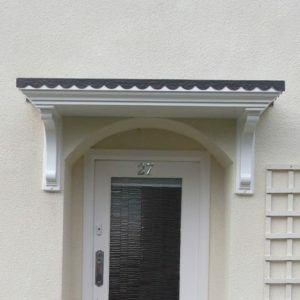 Click here to download our The Fort Scalloped Overdoor Canopy assembly instructions. 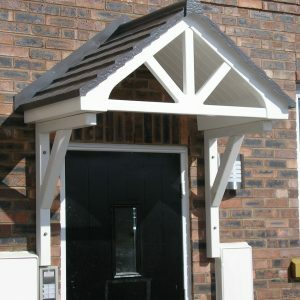 Brackets are not required for the Fort overdoor canopy, but can be purchased for aesthetic purposes. 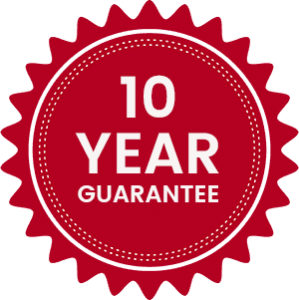 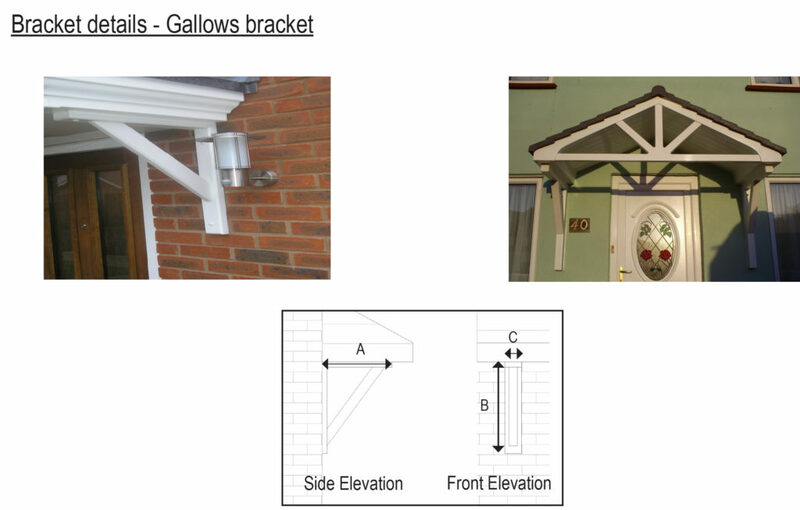 You can choose from the large decorative brackets (sizes 2 and 3), the small decorative brackets (size 1), or the Gallows bracket (size 2).